↑ "Stoicism – Internet Encyclopedia of Philosophy". http://www.iep.utm.edu/stoicism/. Retrieved on 19 مارچ 2018. ↑ Bunnin & Yu (2004)۔ The Blackwell Dictionary of Western Philosophy۔ Oxford: Blackwell Publishing. 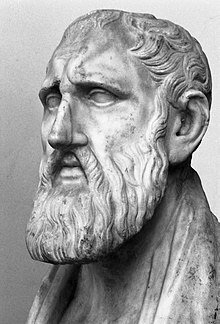 ↑ "Zeno of Citium". Britannica Encyclopaedia. ↑ "Diogenes Laertius, Lives of Eminent Philosophers, BOOK VII, Chapter 1. ZENO (333-261 B.C.)". http://www.perseus.tufts.edu/hopper/text?doc=Perseus:text:1999.01.0258:book=7:chapter=1. Retrieved on 19 مارچ 2018.